Located in the historic part of Avignon, next door to the Popes Palace, charming and comfortable apartment with a private courtyard. Located on the ground floor of a small building, it has a sitting room, a total equipped kitchenette, a bedroom, a bathroom with shower and separated toilet. Museums, restaurants, shops are all within a walking distance. Public parking places (with fees) are at 2 minutes walking distance. Very convenient. Francis is a treasure. A wonderful apartment in a superb position! 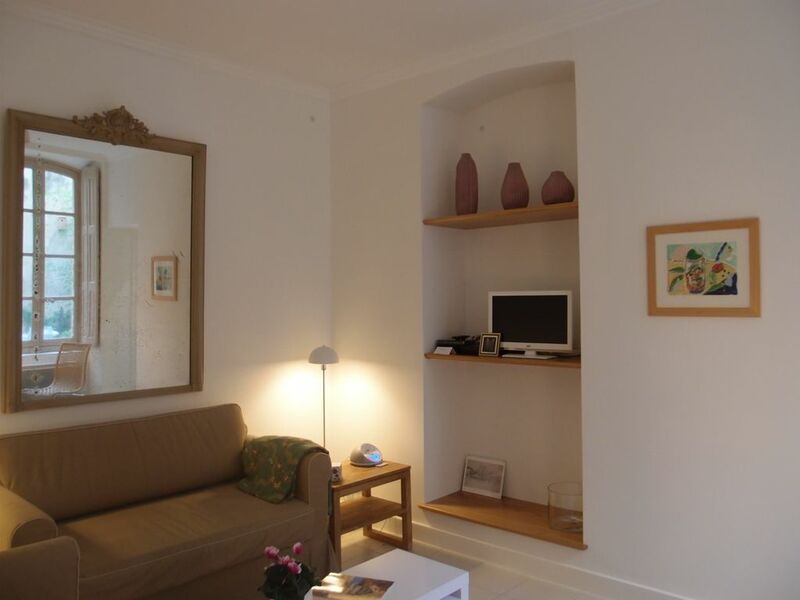 Avignon is a really interesting town made even better by staying in such a lovely apartment. Close to great restaurants and markets, we felt very lucky to have found it. Our host, Francis, was excellent and gave us lots of valuable information. We followed his suggestions to explore the towns and villages around and think we got to know the area well. We hope to return! We had a lovely stay in July. The apartment is in a great location, right next to the Pope's Palace, near shops and restaurants. And within walking distance to the train and bus stations. And it was really nice to have the pretty courtyard garden. Francis was an excellent host, giving us all the information we needed to know. A very comfortable apartment to come home to after a busy days sight-seeing. Francis L. is a thoughtful and attentive host who was always available for the few questions we had. The apartment is quite spacious and fully equipped. The private patio is a delight although a few rainy episodes (most unusual) prevented us from full enjoyment. Francis has recommendations for an abundance of great restaurants within a ten minute walk- some within a three minute walk. The location is right in the heart of the old city and can't be beat. Fell in love with Avignon. Francis is great (owner of apt ) very warm and friendly and helpful. Apt.had everything you would need and more. Hope to return again and again. Next door to the highlight monument 'Popes Palace', in the very heart of the town close by all attractions to enjoy... museums, restaurants, shopping.